Rent Le Montrose Suite Hotel | Corporate Events | Wedding Locations, Event Spaces and Party Venues. Located in trendy West Hollywood, the all-suite boutique hotel offers ample privacy and a mid-century modern design aesthetic with fresh modern accents. Spacious upscale accommodations combine the comforts of home in a refined blend of sensuality and taste. Just steps away from the kinetic energy of Los Angeles' Sunset Strip and Santa Monica Boulevard (Route 66), Le Montrose Suite Hotel is tucked away in a quiet, tree-lined neighborhood that affords a sense of privacy and residential comfort to its guests. The West Hollywood hotel is beautifully detailed with warm, urban appeal and an edgy, yet elegant attitude. Sophisticated suites, exclusive dining and leisure amenities – including a sun-kissed rooftop pool and tennis court – make Le Montrose Suite Hotel ideal for business or pleasure. 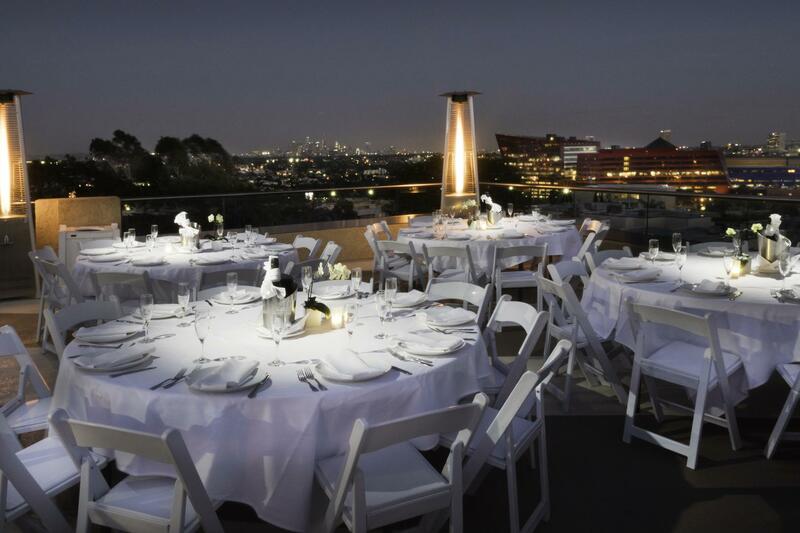 An exciting day on the town can be paired with recreation and relaxation at the hotel – enjoying refreshing cocktails and panoramic views of Hollywood from the rooftop pool at sunset, playing tennis on the lighted tennis court or indulging in a restful in-suite massage. Le Montrose West Hollywood hotel is ideal for quick business trips to LA, offering the convenience of a location in proximity to the city’s major businesses. The suites are also well-appointed for extended stays, combining a home-away-from-home feel with the services and amenities a business traveler requires.